The resident of this lovely home was interested in making a drastic change in the design and style of their kitchen. The preexisting cabinetry, flooring, and countertops were becoming very bland and outdated compared to what the owner had in mind. 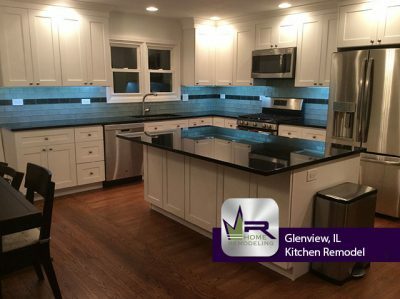 Regency completely gutted the existing kitchen and updated all the mechanical features of the space. 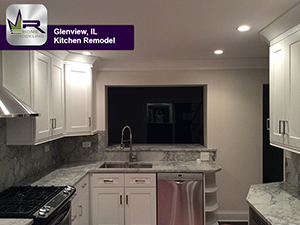 We selected white solid maple shaker style cabinets from J&K Cabinetry and added crown molding throughout.